Ten weeks, two parts. 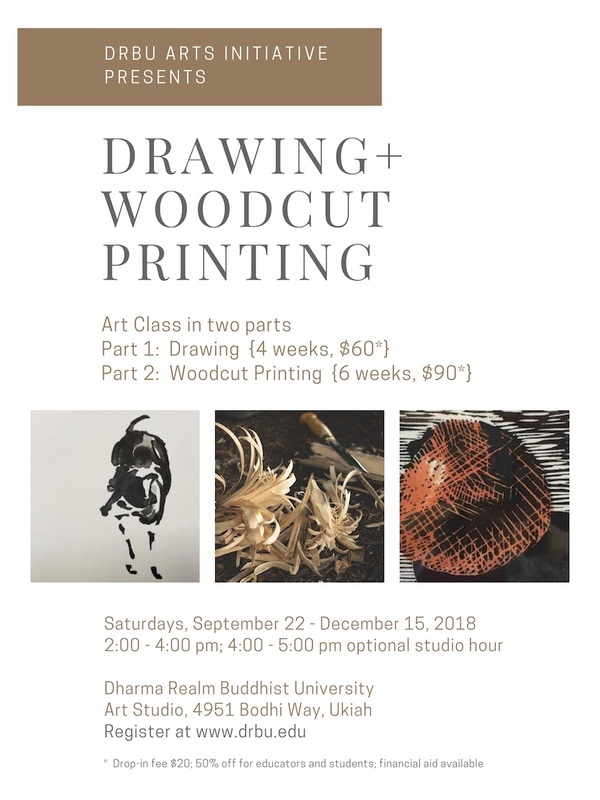 Art classes in drawing and woodcut printing with the DRBU Arts Initiative. Let’s create together. Discover the joy of drawing with pencil, watercolor, and ink! Learn foundational drawing skills and incorporate a contemplative element by using calligraphy as a guide to seeing and transmitting what you see to paper. 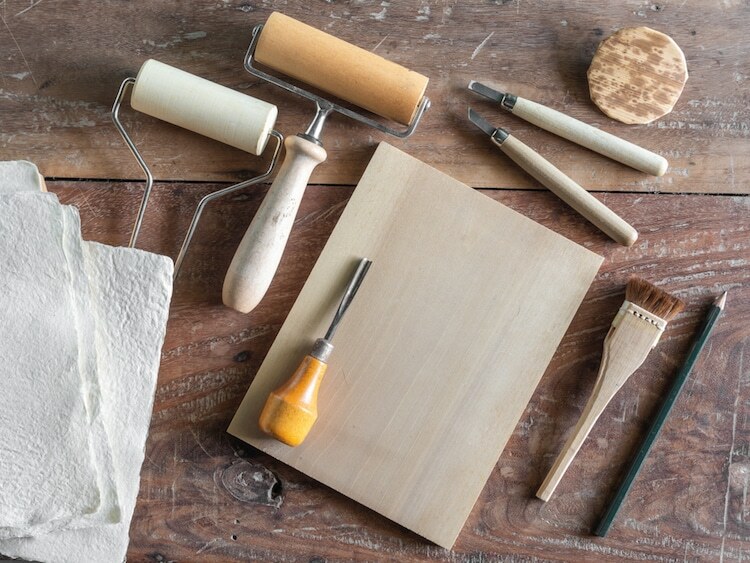 Try out your skills as a printmaker! Build on drawing techniques from Part 1 to create a woodcut design and print. Use your design knowledge to mat your prints and host a gallery art show. DRBU Arts Initiative offers a 50% discount for all students and educators. Financial aid in the form of work exchange is also available upon application approval. For more information, contact arts@drbu.edu. September 22 — Introduction. Slideshow on drawing and calligraphy. Lecture on using calligraphy as a way to improve drawing skills. Demonstration of simple calligraphic shapes. Discussion on the weight of the line, size, and black to gray (in ink). Students will draw the hand and arm using pencil and/or brush. September 29 — Slideshow on composition and content in still life. Students will warm up with calligraphy practice or work on the previous week’s assignment of drawing the hand and arm using calligraphic shapes. Demonstration on simple Chinese painting brushstrokes, shapes, leaves, stem of bamboo. Students will practice and add these strokes to their repertoire as they draw a still life. October 6 — Slideshow on figurative paintings using brushstroke. Lecture on human proportion. 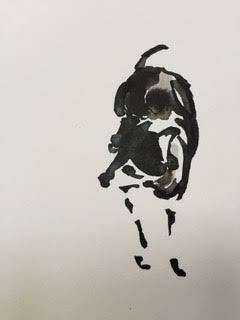 Students will draw people and animals using the brushstroke technique using ink, pencil, watercolor, or a combination of pencil and watercolor. October 13 — Slideshow on landscape techniques. Discussion on the shapes of brushstrokes seen in landscape paintings and their similarities to the brushstrokes studied in previous weeks. Discussion on texture and creating one’s own brushstroke shapes according to the subject being drawn. Students will warm up by using brushstroke techniques as practice and then go outside to draw trees, landscapes, animals, and people. November 3 — Introduction. Slideshow on the work of woodcut artists. Review of brushstrokes and techniques and lesson on how to incorporate them into a woodcut. Overview of how paper can be incorporated into woodcuts. Drawing session to design woodcuts. 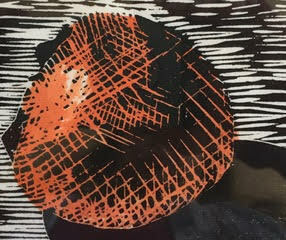 November 10 — Woodcut demonstration. Discussion on coloring of woodcut print. Students will continue drawing their design or begin their woodcut by drawing directly on the wood and cutting. November 17 — Students will continue working on their woodcutting. December 1 — Students will continue to work on woodcuts and printing or experiment with different papers. December 8 — Students will mat their woodcuts and learn how to present their work. December 15 — Discussion on how to improve drawing and woodcut skills. Students will host a gallery art show of their woodcuts. Participants at all levels of experience are welcome. Children under 16 must be accompanied by an adult. Space is limited.